The Latvian captain, who was found drunk on the "Stenberg" on Dec 16, 2014, and who was charged with drunken sailing, has been acquitted by the court in Gothenburg on Jan 20, 2014, because it could not be ruled out that he had been drinking after having been relieved of his command. 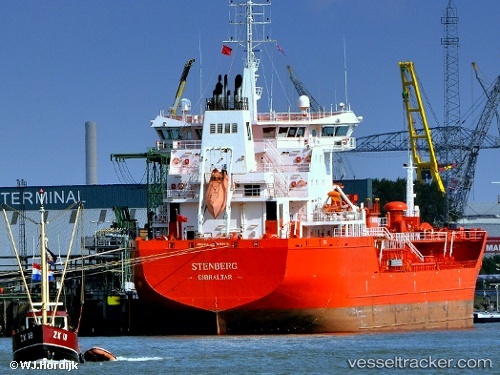 The tanker was heading to from Ventspils to Stenungsund with a cargo of 15,000 tonnes of naphtha when a Swedish pilot boarded the ship off the pilot station Hälleberget. The pilot tried in vain to wake up the captain, then anchored the ship and called the Coast Guard. When the Coast Guard arrived, they found out that the captain's blood alcohol level was higher than permitted, so the chief officer took over the command and guided the tanker into the port of Stenungsund. After arriving in Stenungsund another test was carried out and the captain's blood alcohol measured with 1.2 per mille. The limit in Sweden is 1.0 per mille. But it was impossible to prove that he was beyond this Limit when the ship entered Swedish waters, so he was acquitted.The prosecuter probably will appeal as he should have been convicted of at least "normal" alcohol sailing.